How Many Credit Unions Sell Investments? Kehrer Bielan estimates that the so-called “bank channel” consists of 1,932 banks that offer investment services. But banks’ cousin depository institutions – credit unions – also sell investments. 955 credit unions partner with the 11 largest 3rd party broker dealers, about the same number reported in 2008. 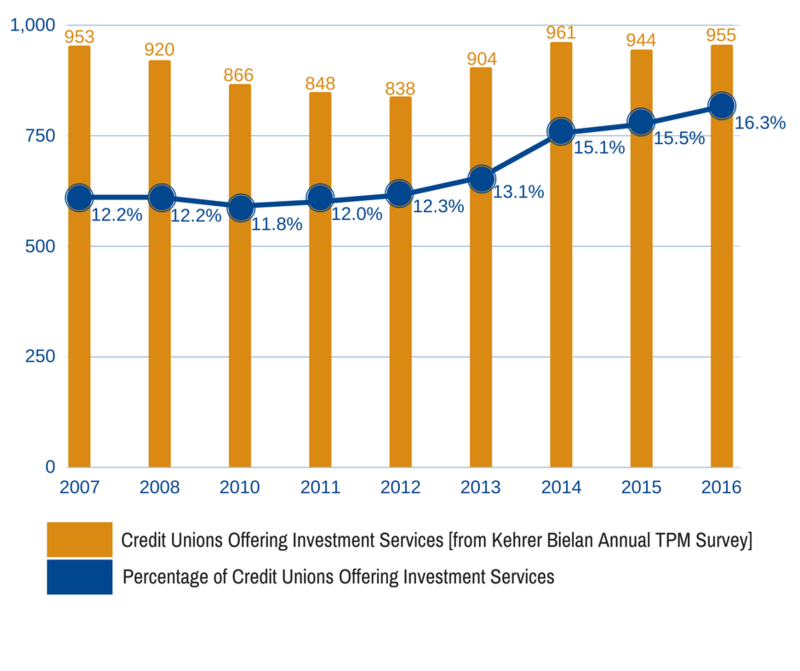 But the credit union industry is consolidating just like the banking industry, so the percentage of credit unions offering investment services has increased over the past 9 years, but not without some fits and starts. Additional credit unions sell investments in partnership with smaller 3rd party BDs, or local broker dealers or insurance agencies. Altogether there are over 1000 credit unions in the “bank” channel. How are productivity, revenue and headcount trending in the bank channel? Find out by obtaining your copy of the Kehrer Bielan 2016/2017 Annual Industry Checkup, a member benefit of BISA. The 2016/2017 Annual Industry Checkup is sponsored by BISA. Full results are available to BISA members only. For information on how to download the full report, or more information on joining BISA, please contact BISA Staff at (202) 367-2342 or bisa@bisanet.org.